You know when you're going about your daily business and come to find a rather exciting package land on your doorstep? We that happened last week, and let me tell you, I couldn't get that cheesy grin off my face. 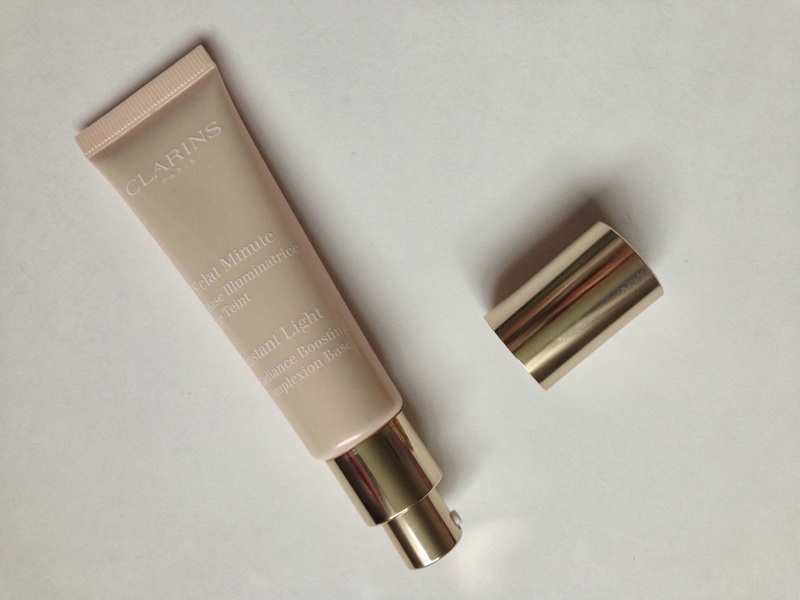 As you all know, Clarins is up there with my all time favourite brands. I love every product I've tried, they're always so lux and really well thought out. So of course I had very high hopes when a selection of the Spring Collection* make up products landed in my hands - and of course they do not disappoint. First up lets focus on this amazing eyeshadow palette. This is the Ombre mineral colour palette in Vibrant Light. 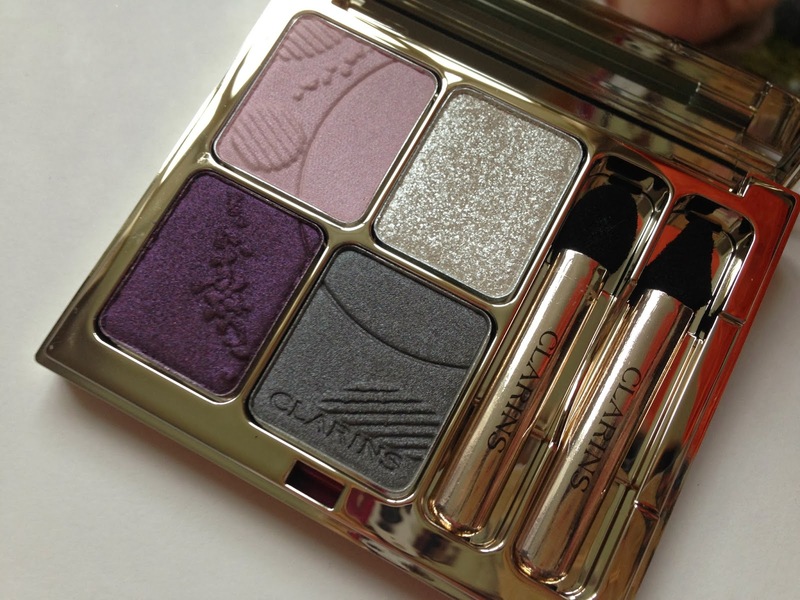 The shades are gorgeous are really wearable, I'm very much into purples at the moment so this the perfect shade combo for me. The highlighting shade is incredible too, the perfect bit of light reflecting power, truly beautiful. I am a sucker for a blush and these are no exception. 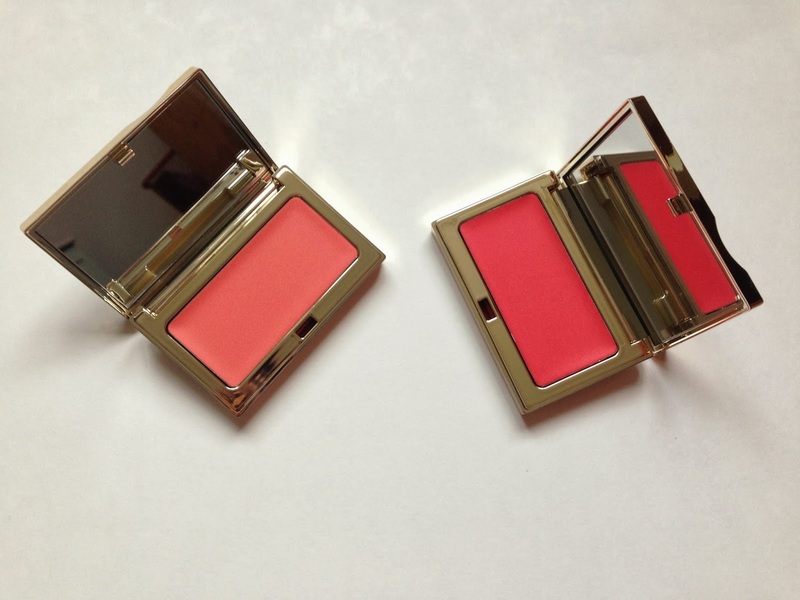 I was kindly sent the cream blushes in Peach and Grenadine, and they're perfect. They have a gorgeous consistency and immediately change from cream to powder when blended out on your skin. So so pretty. Next up is the Instant Light Radiant Boost, I've been applying this straight under my foundation everyday since it arrived. It not only keeps my make up in place all day, but it really gives me a natural glow and makes my foundation look even more flawless. I genuinely don't think I could be without this little baby now. Finally, lovely, lovely lip products. I've seen this amazing Gloss in Crystal floating around the blogesphere, and I've majorly been lusting after it. 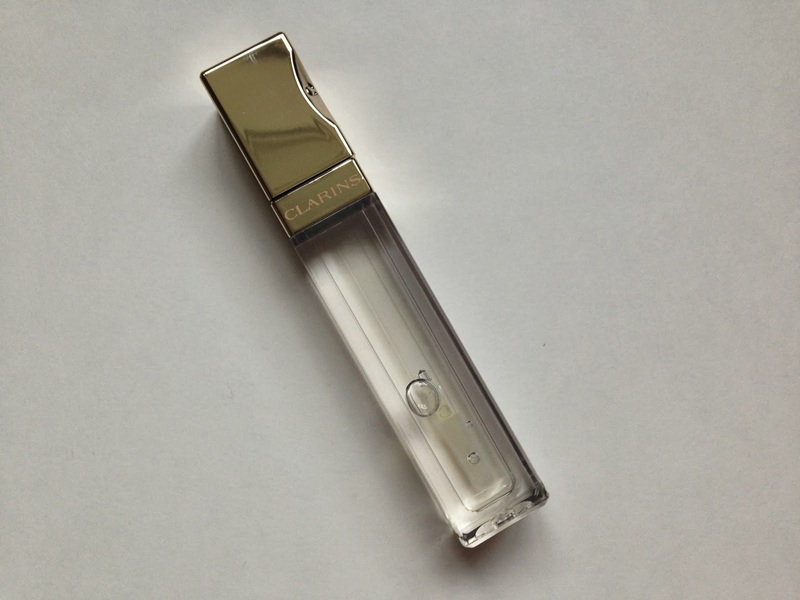 This is something every girl needs in her make up bag, a perfectly crystal clear lipgloss. 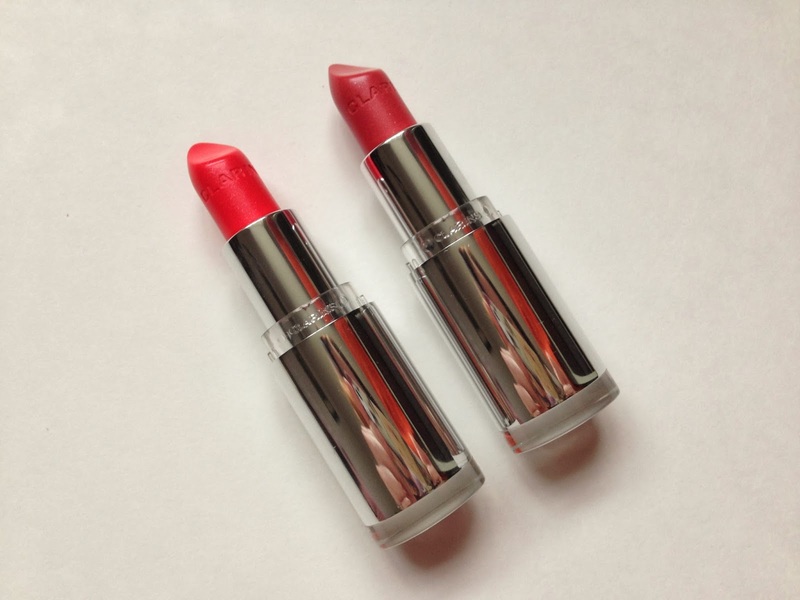 And these beautiful lipsticks are so pretty, I nearly swatched them before taking these photos. I somehow refrained and managed to capture their gorgeousness. I have Tropical Pink which is a vibrant pink, with a corally undertone and will look perfect as we move into spring. The second is Pink Orchid, which is a beautiful deep pink, metallicy shade, really sophisticated and grown up. What a gorgeous package to receive! So exciting. This is a stunning Spring collection & I am in love with the blushers. The blushes look amazing ! This collection is absolutely gorgeous! I keep looking at it in stores! Me gusta mucho los tonos de colorete de la coleccion!!!! 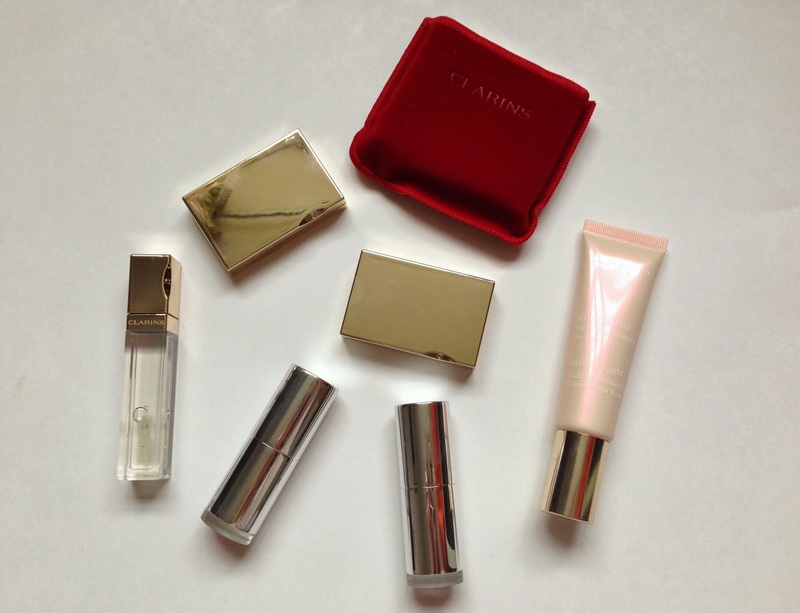 I have never tried any Clarins products but this collection looks beautiful. The palette looks amazing, can never have enough neutral eyeshadows. Mumma Mia! Those blushers! Swoooooon!